ACS Roofing is happy to offer customers commercial roofing services from our office in Nashville, TN. Commercial roofing in Nashville is an in-demand market and we are here to serve you. Our dedication to customer service means you’ll get the best roof at the best price whether you need a commercial roof repair or commercial roof replacement in Nashville. From commercial roof repairs, roof replacements and roof coatings, businesses trust ACS Roofing. One Nashville business that received exceptional results was Bonded Filter, one of Nashville’s largest air filtration companies. ACS got the job done on a 21,000 square foot Progressive Materials high solid silicone roof system. 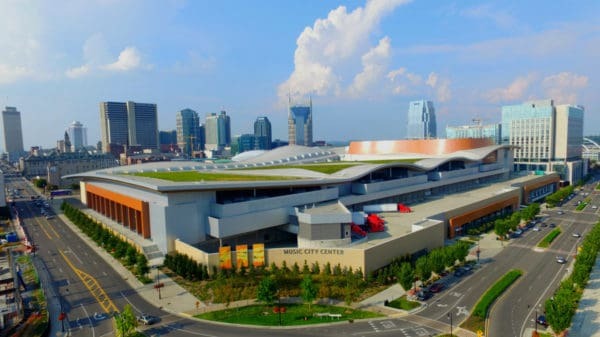 We encourage you to read about this successful Nashville Commercial Roofing Project. Our office is located just minutes from downtown Nashville in the eastern city of Hermitage, TN. This central location allows us to service areas within a 3-hour radius of Nashville – from Louisville, Kentucky all the way down to Huntsville, Alabama. We also have an office in Johnson City, TN. We are the best commercial roofing company in Nashville, TN. We offer commercial roof evaluations, roof replacement, waterproofing, and commercial roof repair in Nashville and the surrounding area. If you need a commercial roofing company in Nashville, call or contact ACS Roofing today!